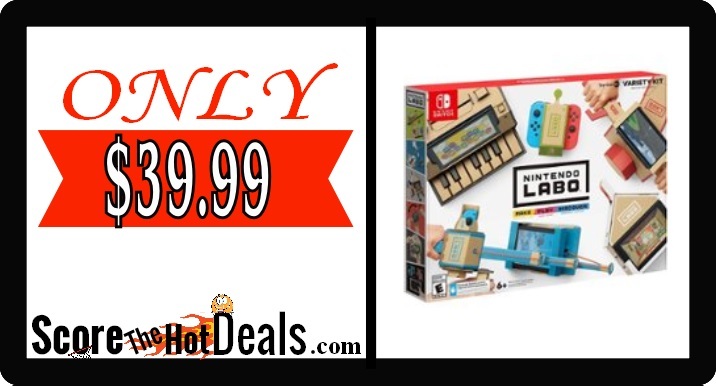 Nintendo Labo – ONLY $39.99 SHIPPED! HURRY on over to Best Buy and score select Nintendo Labo sets for only $39.99! This is regularly $69.99 and shipping is FREE! Click the “score this deal now” button below to snag yours while they last! NOTE: Prices can change frequently, so double check the price before purchasing and don’t wait to jump on this deal! « Snuggle Blue Sparkle 80 Ct – As Low As $2.13!